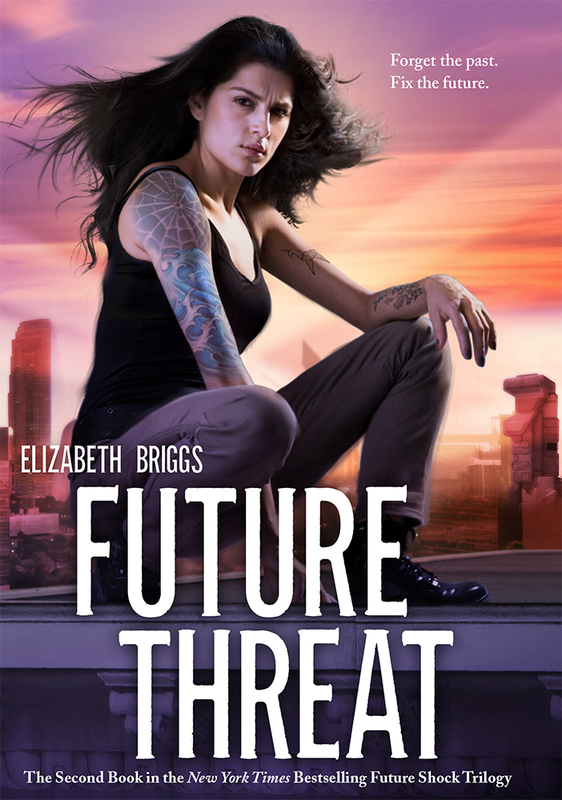 Two Chicks On Books: Blog Tour- FUTURE THREAT by Elizabeth Briggs An Interview & Giveaway! Blog Tour- FUTURE THREAT by Elizabeth Briggs An Interview & Giveaway! Hey everyone! 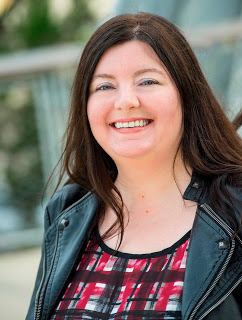 I am thrilled to be hosting a spot on the blog tour for FUTURE THREAT by Elizabeth Briggs I have an interview with Liz to share with you today! And make sure to enter the giveaway below! Haven't heard of FUTURE THREAT? Check it out! Hey Liz!! First I want to say welcome back to Two Chicks on Books I’m glad you could stop by for a chat! FUTURE THREAT was freaking AWESOME and I can’t wait for everyone to read it! For the readers: can you give us a series recap so far? Sure! In FUTURE SHOCK, Elena joined a team of four other teenagers and traveled thirty years into the future. Once there, they discovered that all of them—except geeky cute scientist Adam—would be murdered the day after they returned to the present. At first it seemed like all clues pointed to Elena as being the killer, but with Adam’s help she was able to stop the real killer and save herself and one of the other time travelers. Unfortunately, she wasn’t able to save them all, and even though she and Adam have tried to move on and start a relationship together, at the beginning of FUTURE THREAT Elena is having a hard time coping with what happened to her. The ending of FUTURE THREAT was very satisfying but I can’t wait for a book 3! Is there a title yet? Thanks! I tried to make sure each book could stand alone because cliffhanger endings drive me nuts as a reader. Book 3 is titled FUTURE LOST and comes out in Spring 2018. Not really, although Zahra, the Iranian-American hacker in FUTURE THREAT, was very loosely inspired by my best friend in high school. Also, Paige’s boundless energy and perkiness were inspired by some of my author friends. Mostly I take small details from people I know and add them to characters, but that’s it. Elena and Adam were my favorite characters to write because they’re so different but they make each other better when they’re together. My least favorite was probably the CEO of Aether Corporation because he is kind of a jerk. What is your favorite passage/scene in FUTURE THREAT? The scene where Elena and Adam meet someone they never expected to meet in the future…although I won’t say who cause it’s a major spoiler! I did a lot of research into what it is like to have PTSD, anxiety, and panic attacks, so that I could get into Elena’s head in this book. I also researched flying cars and other futuristic technology to make the future they go to even more advanced than the other one they visited. YA is my favorite thing to read and I love the way YA books break boundaries and cross genres in a way that a lot of adult fiction doesn’t. Right now I’m finally reading A Court Of Mist And Fury and it’s so good! My TBR list is huge but the next thing I’m planning to read is Six Of Crows. I’m super behind on books and trying to catch up! Thanks so much Liz for answering my questions! I can’t wait for everyone to read FUTURE THREAT! Make sure to grab book 1 if you haven't started this series yet! I read Future Shock and it was great. I'd love to read Future Threat.